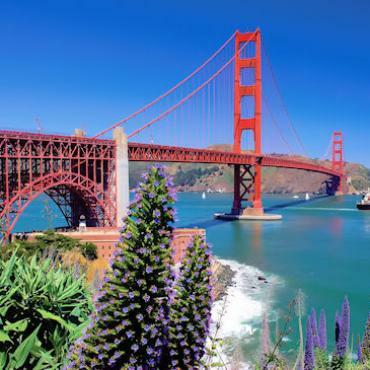 On our luxury two centre holidays to Las Vegas and San Francisco you'll enjoy the delights of the Beautiful City On The Bay, mixed with the glitz and glamour of wonderfully outrageous Las Vegas. Ferry to Alcatraz and self-guided audio tour of this former prison. There's never a dull moment on any holiday to this Neon City. Vegas needs to be seen to be believed. All the large hotels on the famous Las Vegas Strip are attractions in their own right. 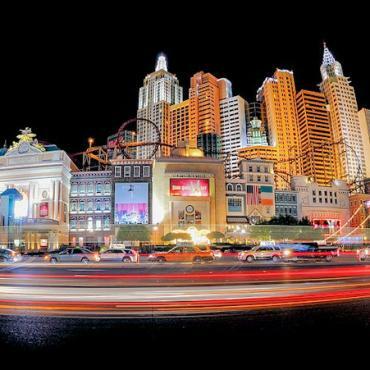 When you're not gawping in awe or exploring these, spend your time taking in an energetic Las Vegas show, enjoy the light show in Freemont Street, or a spot of fine dining by the famous dancing Bellagio Fountains. 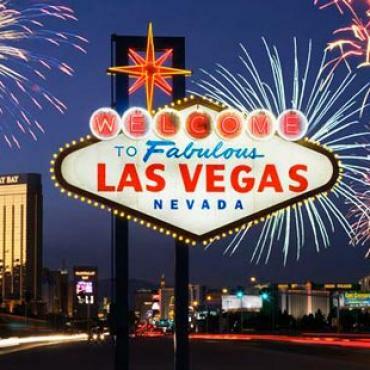 Whilst you are in Las Vegas, Bon Voyage suggest you take this opportunity to take in other wonderful sights in the area such as the Grand Canyon , Hoover Dam , Valley of the Fire or Death Valley. 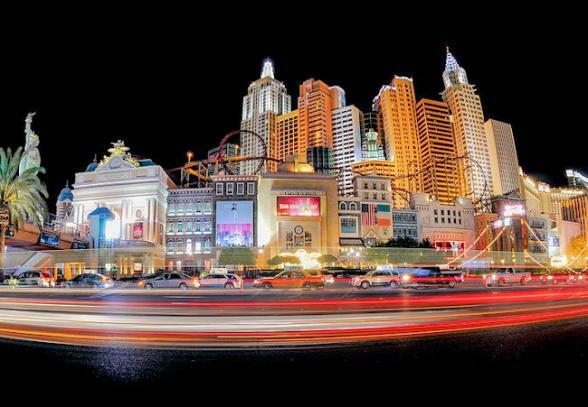 These day-trips and Las Vegas attractions can be booked in advance with Bon Voyage. If you are planning on tying the knot or renewing your vows in Vegas, we can make that happen too. Perched snuggly on 43 hills, San Francisco, everybody's favourite city, is a pure joy to explore. 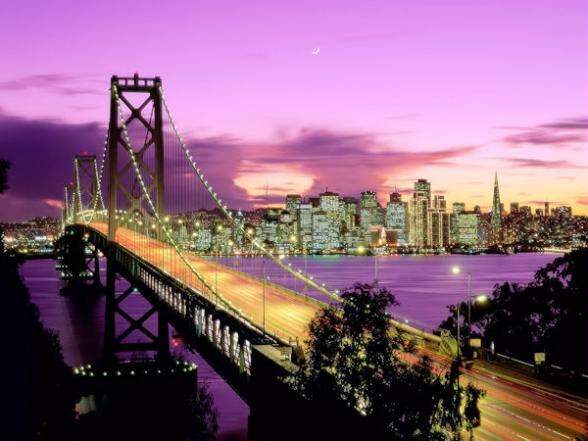 Between the hot arts scene, the tempting boutiques, the awesome bay views, and all those fabulous restaurants and wine bars, it's the perfect place to indulge. It boasts a dizzy choice of attractions too. Take the ferry to Alcatraz, a former prison, which was home to some of America's toughest gangsters. 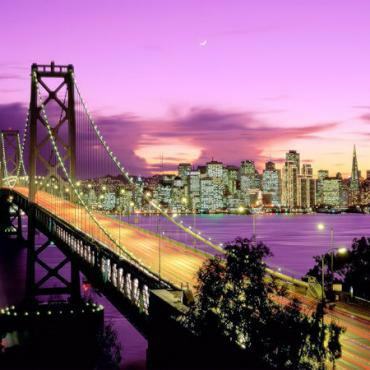 Stroll around Chinatown (the largest community outside of Asia) and enjoy exotic delicaces or visit the colourful Victorian homes and chic cafes of Haight-Ashbury area, once the Ground Zero of the Summer of Love in 1967. If you thought Central Park, New York was cool, you should head to Golden Gate Park. With its millions of trees and terrific vistas, it's miles more impressive. 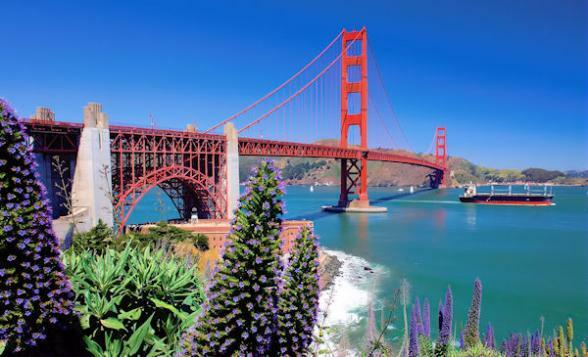 If you're feeling energetic then hire a bike and ride through the park and across the Golden Gate Bridge to pretty Sausalito. Bon Voyage would be happy to pre-book this and other exciting excursions for you. Perhaps you may want to extend your stay and include other cities on your holiday such as spending a few days in historic Boston or New York City. 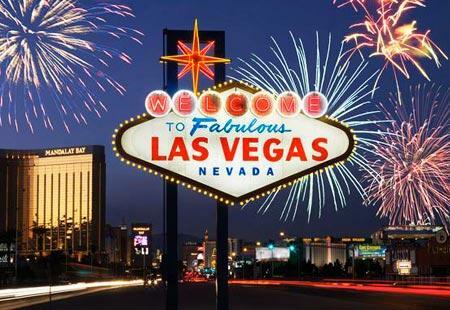 Call the travel specialists at Bon Voyage to discuss your ideal Las Vegas and San Francisco Two Centre Holiday.